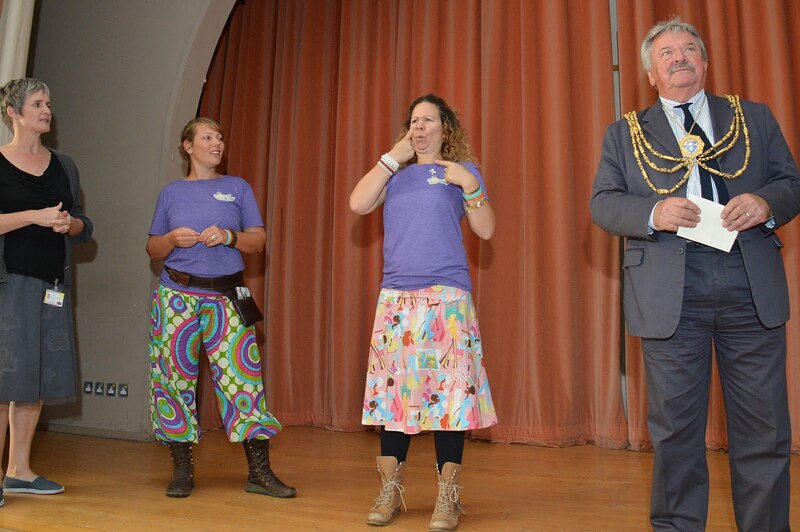 The Deaf Diaspora day welcomed the Mayor of Brighton and Hove, Councillor Bill Randall, to the community and cultural event, which joined the international celebration of World Deaf Day. 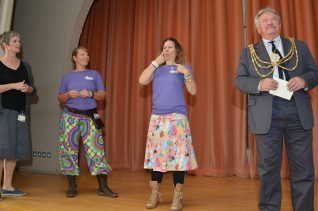 The day promoted the talents, businesses, crafts and products created by deaf people, who use British Sign Language (BSL) as their first language. 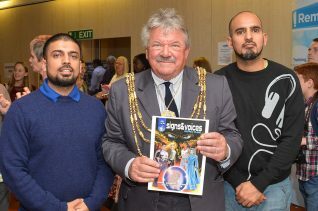 The Mayor gave a speech to raise awareness of the increase in hate crimes towards disabled, and deaf, people. He also visited the various local business stalls involved in work relating to the deaf community. There was a wide variety of arts and crafts, cakes and Mexican food sold at the event; all made by deaf people. Deaf Diaspora aims to promote the lives of deaf people, who use sign language, and increase the public’s awareness of Deaf Culture. 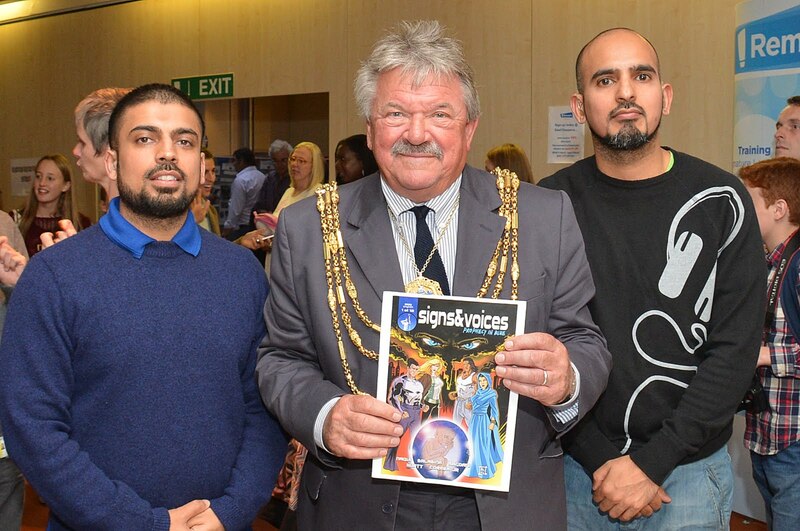 The Mayor took a particular shine towards ‘Signs and Voices’, a group of cartoonists who are creating the first Deaf Superhero magazine, which is available in English and plain English. The Cartoons include sign language in the pictures. It aims to create a fun way for deaf children to learn BSL.